Research conducted by Dr. Hays at the University of Kentucky, reported that approximately 2.5 million and 21% of older hospital patients had alcohol-related problems. Further, rates as high as 17% among the 65 and older population have an alcohol-abuse problem. This exemplifies the hidden epidemic of alcohol and substance abuse among the elderly. In our work in assisted living facilities (ALF) and nursing homes, we have found that alcohol and substance abuse can go undiagnosed. This can occur because when an elderly person is discharged from a hospital (post following surgery, a fall, or from another medical issue) to an assisted living facility (ALF) or nursing home, the medical issues take center stage. However, we also recognize the importance of conducting a thorough background and assessment on all medications and current or past alcohol abuse and/or depression and anxiety during the initial evaluation stage. 2.) “Late onset”. These are people who begin abusing alcohol later in life often following a change in life such as retirement, death of spouse or family member, divorce, health issues, reduced income, family driven conflict, decrease in independence. Alcohol abuse has a higher absorption rate in the elderly, similar to that in women and increases blood alcohol levels. Making this even more complicated is when medication – both prescribed and over-the-counter (OTC) – is added to the mix. This results in adverse reactions.Research indicates that over $500 million is spent annually on medications by the elderly. Medically, there is a decrease of blood flow to the liver and kidneys and absorption when benzodiazepines are prescribed. Further, the long half life (how long it takes for half of the drug to leave your system and usually takes several days) that many medications have (such as Valium, sleep medications) creates a sedating factor. The sedation by both the medications and the alcohol increases the chance of falls, fractures, and death. Finally, the combination also causes confusion and the elderly person may forget which medication has been taken, causing an overdose or in some situations, death. 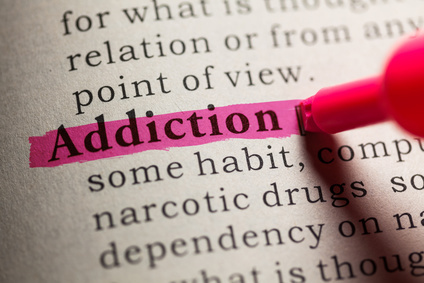 The diagnosis of a substance use disorder becomes more challenging often because the symptoms are very similar to the symptoms of other medical and behavioral problems that are found in older adults. Some of these medical or behavioral problems are: dementia, diabetes, Alzheimers, and depression. Unfortunately, many health care providers underestimate the extent of substance abuse problems among older adults, and, therefore, do not screen older adults for these problems. Many older/elderly adults find them in the financial situation of having to live with and be supported by an adult child. This can create turmoil in the home especially if they have a substance abuse problem as the individual issue quickly becomes a family issue. Additional family resources may need to be mobilized in the service of treating the older adult’s substance use disorder. Or, the older person (parent) may still live independently but the adult children find themselves in the care taking role. Addressing the substance abuse issue can be and often is uncomfortable, stressful, painful, and embarrassing. Caregiver stress is very real and people struggle. They feel stuck in the middle and have now been put in the role of ‘parent’ even though they are the ‘child.’ Its a mixed bag of emotions and confusion as to what to do and what not to do. Become more attentive to the elderly’s daily life. Get a complete inventory of all their medications – OTC and prescribed. Also a listing of all their doctors. Increase their social activities and interactions. This can be done by arranging times/plans with friends or participation in a senior program. Outside professional help with a psychotherapist or other mental health professional. Love, understanding, patience, and being present.